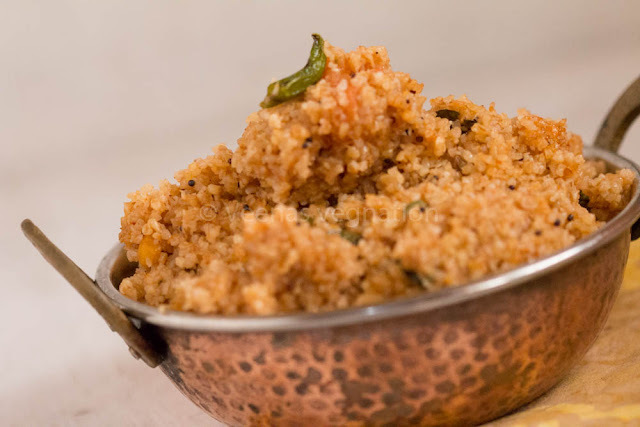 The second in the whole wheat series is godumai rava thakali upma. I saw this post in Kalyani’s space during Megamarathon and bookmarked it. This is a diabetic friendly breakfast recipe and is very tasty too. Blanch the tomatoes, remove the skin and puree it. Add rasam powder, jiggery and salt. 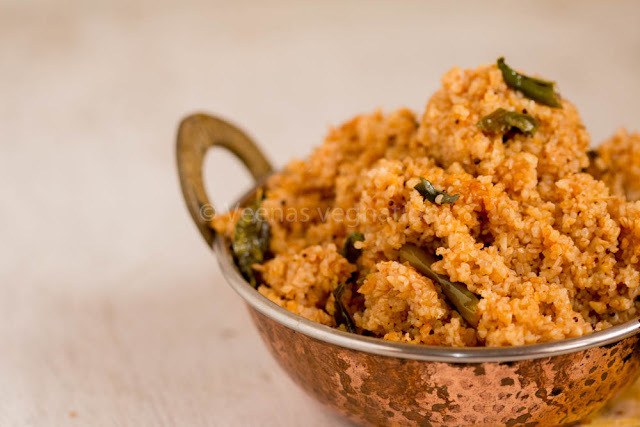 When it vigoursouly boils, reduce the fire and add the rava. Mix well, close the pan with a lid and cook in low flame for 5 minutes or till all the moisture is absorbed.